Khirbet el-Qaṣr is located on the eastern fringes of the Hebron Hills, at an elevation of 600 m above sea level. It lies c. 3 km southeast of Bani Na‘im and c. 1.5 km north of the Hebron–En-Gedi road, in an area sloping eastward toward the Judean Desert. Remains at the site include a square tower with a stone glacis, alongside a courtyard surrounded by rooms. It was first noted by A. Kloner and Y. Hirschfeld in the 1970s. 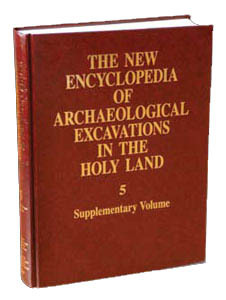 Between September 1999 and January 2000, excavations were carried out at the site by Y. Magen, B. Har-Even, and I. Sharukh on behalf of the Staff Officer for Archaeology in Judea and Samaria. The excavations uncovered remains belonging to three periods. The earliest preceded the construction of the tower and is dated to the Second Temple period. The second phase, during which the tower and stone glacis were built, is dated to the Byzantine period. Later in this period, a Byzantine coenobium monastery was founded. The last phase at the site is dated to the Mameluke period, when the ruins where sporadically inhabited. THE SECOND TEMPLE PERIOD. Pottery found under the extant buildings provides the evidence for the Second Temple period occupation. The cave under the tower and the ritual bath uncovered west of the monastery apparently belong to this phase.